Finance Ideas 4u: Bankruptcy Vs Debt settlement ….choice is yours. Bankruptcy Vs Debt settlement ….choice is yours. There is always a huge debate between Bankruptcy & Debt Settlement. We are not able to decide that which way we need to follow & may be sometimes we will make some mistakes. I think lack of informations regarding Bankruptcy & Debt Settlement is the main reason behind this mistake. So, As a financial writer I gathered few experiences regarding this topic. Those may help you to choose the right one among these two. The very simple logic is if your debt is unsecured then just go for debt settlement this will be good for you. Because debt settlement company will try to get more discounts from your creditors. But if your debts are secured then it will not a good options for you. Because then all your payable amounts are fixed. On the other hand through bankruptcy you will overcome your debt problems but it will hamper your credit score. And it will be complicated to get any further debts in future. So, In primary stage debt settlement is good for you & keep bankruptcy as your last option. Bankruptcy was the worst nightmare before these debt companies showed up. As the economy is passing a tough time, it is obvious that more and more people with face problems in handling their debt. It is a relieve that few financial institutions are there to help those people. There are several websites too that assist people to come out from the debt burden. http://www.debtreliefgeek.com is one of such sites. Bankruptcy should be the last resort, As it will damage our credit for up to 10 years. Debt settlement is a better way to solve debt problems and protect our financial futures. I used the Bills.com debt settlement guide to see if this is an option for me. Lastly, if it comes to bankruptcy always seek counsel from an attorney who understands your situation. Debt Negotiators Online will help you navigate the maze of debt management options. Hello Ken. I've started a new blog at http://bankruptcyequityhomeloan.net , I was wondering if you'd like to do a blogroll link exchange with me as it could benefit both of us. Let me know if you're interested. Thank ya. IMHO, Bankruptcy should be considered as a last resort. 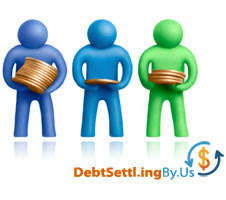 It is better to opt for debt settlement, as what your creditors may advice to you. Consider other options before opting to bankruptcy. Before opting for any of the options the pros and cons of both should be taken into consideration. To Get out of Debt is a good idea but not at the cost of ruining your credit report.